Being supported by the business climate index in Germany, EURUSD returned to the 1.1291 area. This pair will be under the influence of core orders for durable goods in the US as well. Now the support rests at 1.12780 with resistance at 1.12990 which both lines are above the monthly pivot point at 1.11070. The EMA of 10 is moving with bullish bias above the EMA of 100. The RSI is above the 50 level, the Stochastic is showing upward momentum and the MACD indicator is moving in negative territory close to the neutral zone. 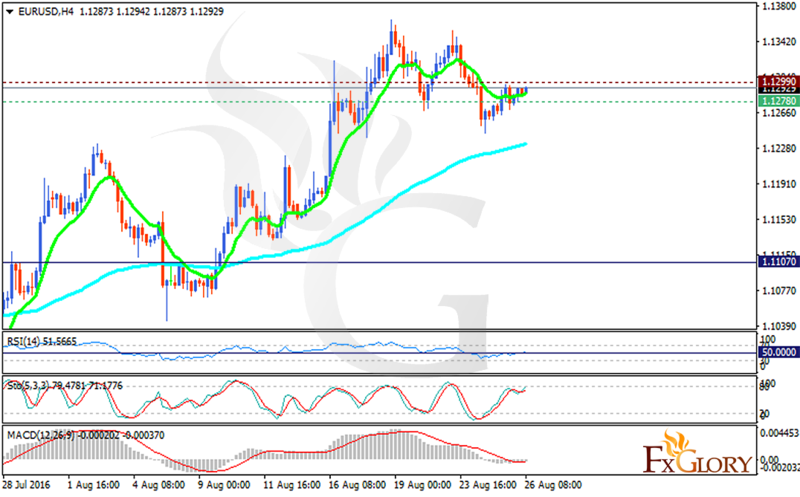 The pair will find consolidation in 1.1245-1.1325 area.